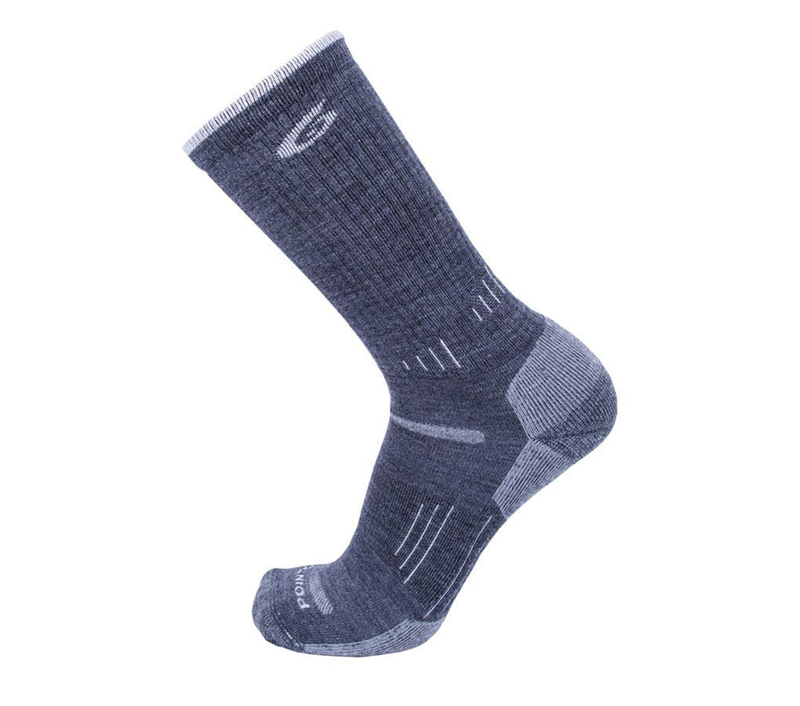 Maximize evaporation and accelerate dry time for unmatched comfort and performance with these hiking socks from Point6 and 37.5 Technology. 37.5 active particles supercharge wool's natural abilities by attracting moisture while still in vapor form, before it becomes a sweat droplet. Stay drier longer, increase athletic output, and improve microclimate comfort with this medium cushion, crew sock. The best wool socks ever just got better. Great for biking, hiking, running, a day at the office, and everywhere in between. Wool 75% Spandex 5% Nylon 25% "